How do you get math terms out of parentheses? And what happens to those terms when you remove the parentheses? It seems like the process should be simple. But this issue often plagues students; they keep getting points off on tests, quizzes, homework assignments. What’s the deal? The deal is that there’s a specific process you need to follow when taking terms out of parentheses, and what you do hinges on whether there’s a positive sign (+) or a negative sign (–) in front of the parentheses. But not to worry. This video on this page settles the question once and for all. Not only that, but the video provides a story-based approach that you can teach (if you’re an instructor) or learn (if you’re a student) and remember (no matter who you are). Why? Because stories are FUN and MEMORABLE. So kick back and relax (yes, it’s math, but you have a right to relax) and let the video show you how this process is done. And in customary style, I present practice problems (along with the answers, too) at the end of the video so you can be sure you understand what you believe you understand. Ever thought this after you got back a math test … ? The situation we’re dealing with involves over-generalizing everyone’s “favorite” property, the distributive property! How’s that? Well, you’re supposed to use the distributive property when a number multiplies terms inside parentheses. But sometimes students get a little bit — shall we say — “carried away” — and use the distributive property principle in other situations, too. The results are a tad bit comic, if you’re the teacher, but not so funny if you’re the student and you’ve made the mistake 19 times on a test with 20 problems. Anyhow, after you watch the following video you shouldn’t have to worry about this again because we’ll get the two wires in your mind untangled so you never make this mistake again. So just relax, watch and learn. And oh yes, don’t forget that we’ve provided some practice problems at the end of the video to help you make sure you’ve got the concept nailed down. As you’re probably aware, I’m a big believer in using stories to bring math to life. Especially when you’re teaching tricky concepts, using a story can be the “magic switch” that flicks on the light of understanding. Armed with story-based understanding, students can recall how to perform difficult math processes. And since people naturally like stories and tend to recall them, skills based on story-based understanding really stick in the mind. I’ve seen this over and over in my tutoring. The kind of story I’m talking about uses an extended-metaphor, and this way of teaching is particularly helpful when you’re teaching algebra. Ask yourself: what would you rather have? Students scratching their heads (or tearing out their hair) to grasp a process taught as a collection of abstract steps? Or students grasping a story and quickly seeing how it guides them in doing the math? I think the answer is probably pretty clear. So with this benefit in mind, let’s explore another story that teaches a critical algebraic skill: the skill of “unpacking” terms locked inside parentheses. To get the picture, first imagine that each set of parentheses, weirdly or not, represents a corrugated cardboard box, the kind that moving companies use to pack up your possessions. Extending this concept, the terms inside parentheses represent the items you pack when you move your goodies from one house to another. Finally, for every set of parentheses (the box), imagine that you’ve hired either a good moving company or a bad moving company. (You can use a good company for one box and a bad company for a different “box” — it changes.) How can you tell whether the moving company is good or bad? Just look at the sign to the left of the parentheses. If the moving company is GOOD, you’ll see a positive sign to the left of the parentheses. If the moving company is BAD, you’ll spot a negative sign there. + ( ) The + sign here means you’ve hired a GOOD moving company for this box of stuff. – ( ) This – sign means that you’ve hired a BAD moving company to pack up this box of things. Now let’s put a few “possessions” inside the boxes. + (2x – 4) This means a GOOD moving company has packed up your treasured items: the 2x and the – 4. – (2x – 4) Au contraire! This means that a BAD moving company has packed up the 2x and the – 4. Note that when we take terms out of parentheses, we call this “unpacking” the terms. This works because algebra teachers fairly often describe the process of taking terms out of ( ) as “unpacking” the terms. So here’s a story whose rhetoric matches the rhetoric of the algebraic process. Convenient, is it not? And that pretty much sums up the entire process. Understanding this story, students will be able to “unpack” terms from parentheses, over and over, with accuracy and understanding. But since Practice Makes Perfect, here are a few problems to help your kiddos perfect this skill. We make such a big deal out of the Order of Operations in Algebra, and yet there’s a second order of operations, equally important but seldom mentioned. First, to clarify, the standard Order of Operations (caps on the two O’s to indicate this one) helps us simplify mathematical expressions. It tells us how to take a group of math terms and boil them down to a simpler expression. And it works great for that, as it should, as that’s what it’s designed for. EXAMPLE: this Order of Operations tells us that, given an expression like: – 2 – 3(4 – 10), we’d first do the operations inside PARENTHESES to get – 6, then we’d MULTIPLY the 3 by that – 6 to get – 18. Then we would SUBTRACT the – 18 from the – 2, to get 16. You know, PEMDAS. But it turns out that there’s another order of operations, the one used for solving equations. And students need to know this order as well. In fact, a confusing thing is that the PEMDAS order is in a sense the very opposite of the order for solving equations. And yet, FEW people hear about this. In fact, I have yet to see any textbook make this critical point. That’s why I’m making it here and now: so none of you suffer the confusion. In the Order of Operations, we learn that we work the operations of multiplication and division before the operations of addition and subtraction. But when solving equations we do the exact opposite: we work with terms connected by addition and subtraction before we work with the terms connected by multiplication and division. What to do first? Recalling that our goal is to get the ‘x’ term alone, we see that two numbers stand in the way: the 4 and the 10. We might think of them as x’s bodyguards, and our job is to get x alone so we can have a private chat with him. To do this, we need to ask how each of those numbers is connected to the equation’s left side. The 4 is connected by multiplication, and the 10 is connected by subtraction. A key rule comes into play here. To undo a number from an equation, we use the opposite operation to how it’s connected. So to undo the 4 — connected by multiplication — we do division since division is the opposite of multiplication. And to undo the 10 — connected by subtraction — we do addition since addition is the opposite of subtraction. So far, so good. But here’s “the rub.” If we were relying on the PEMDAS Order of Operations, it would be logical to undo the 4 by division BEFORE we undo the 10 with addition … because that Order of Operations says you do division before addition. But the polar opposite is the truth when solving equations! WHEN SOLVING EQUATIONS, WE UNDO TERMS CONNECTED BY ADDITION AND SUBTRACTION BEFORE WE UNDO TERMS CONNECTED BY MULTIPLICATION OR DIVISION. Just take a look at how crazy things would get if we followed PEMDAS here. What a mess! In fact, now we can no longer even see the 10 we were going to deal with. The mess this creates impels us to undo the terms connected by addition or subtraction before we undo those connected by multiplication or division. For many, the “Aunt Sally” memory trick works for PEMDAS. I suggest that for solving equations order of operations, we use a different memory trick. I just remind students that in elementary school, they learned how to do addition and subtraction before multiplication and division. So I tell them that when solving equations, they go back to the elementary school order and UNDO terms connected by addition/subtraction BEFORE they UNDO terms connected by multiplication/division. And this works quite well for most students. Try it and see if it works for you as well. While tutoring, I spend a fair amount of time pondering students’ math mistakes. Fortunate for me, then, that I find these mistakes interesting. Believe it or not, I actually collect, categorize and analyze students’ mistakes, for they teach me a lot about students’ struggles with math. As you may recall from your junior high days, ‘Aunt Sally,’ is the lady who guides us in carrying out the order of operations, those steps we use to simplify mathematical expressions. She does so through the cute little phrase that has undoubtedly been passed down since cavemen were doing algebra in the Lascaux caves: “Please Excuse My Dear Aunt Sally” — aka PEMDAS. You may recall, too (if you haven’t blocked out all the painful memories), that each letter of PEMDAS stands for a different operation: P stands for parentheses, E for Exponents, M for Multiplication, etc. I’ve never figured out what Aunt Sally ever did that requires us to excuse her over and over, year after year. (Any ideas?) Nevertheless I have discovered something that should qualify for reprehensible behavior by Dear Aunt Sally. It’s the way that the words of her famous expression sow confusion for legions of children. I’m referring, in particular, to the fact that the “M” of “My” (which stands for “Multiply”) precedes the “D” of “Dear” (which stands for “Divide”). As a result of this unfortunate ordering of letters, many students wind up convinced that — when simplifying mathematical expressions — they ALWAYS perform multiplication before division. Nevertheless it’s my job to clear up math confusion. So please allow me, the “math ogre” with no abiding love for “Aunt Sally,” to set the record straight. Just because the “M” of “My” precedes the “D” of “Dear”, that does NOT mean that we ALWAYS multiply before we divide. The rule actually is this: you do not necessarily perform multiplication before division; nor do you necessarily perform division before multiplication. So what in the world do you do? Here’s what: If a mathematical expression contains both multiplication and division symbols, you do WHICHEVER OF THOSE TWO OPERATIONS COMES FIRST AS YOU READ THE EXPRESSION FROM LEFT TO RIGHT. But — and this is a big but — if you are working with a slight variation on this expression: 12 ÷ 4 x 6, you would NOT perform the multiplication first. [Haha, take that, Aunt Sally!] Rather, you would perform the division first because the division symbol stands to the left of the multiplication symbol as you read this expression from left to right. So the point is that, when performing multiplication and division, you don’t necessarily do the multiplication first. You just do whichever operation appears first as you look at the problem from left to right. In my next post, I’ll tell you about a similar area of confusion perpetuated by ‘Dear Aunt Sally’ when it comes to addition and subtraction. In the meantime, I suggest you consult your real Uncle Steve or Aunt Suzanna the next time that you need help with math. Josh Rappaport lives and works in Santa Fe, New Mexico, along with his wife and two teenage children. Josh is the author of the Parents Choice award-winning Algebra Survival Guide, and its companion Algebra Survival Guide Workbook, both of which will soon be available for homeschoolers as a computer-based Learning Management System, developed and run by Sleek Corp., of Austin, TX. 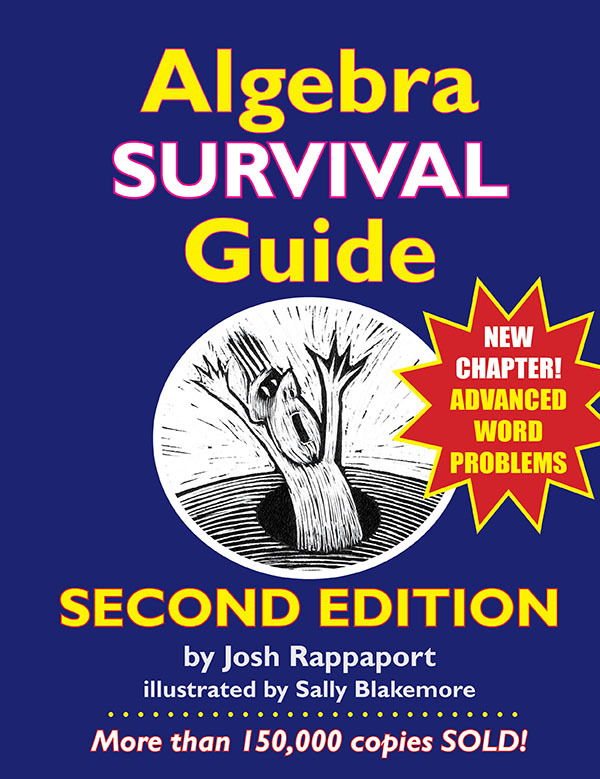 Josh also authors Turtle Talk, a free monthly newsletter with an engaging “Problem of the Month.” You can subscribe or see a sample issue at http://www.AlgebraWizard.com. Josh also is co-author of the “learn-by-playing” Card Game Roundup books, and author of PreAlgebra Blastoff!, a “Sci-Fi” cartoon math book featuring a playful, hands-on approach to positive and negative numbers. In the summer Josh leads workshops at homeschooling conferences and tutors homeschoolers nationwide using SKYPE. 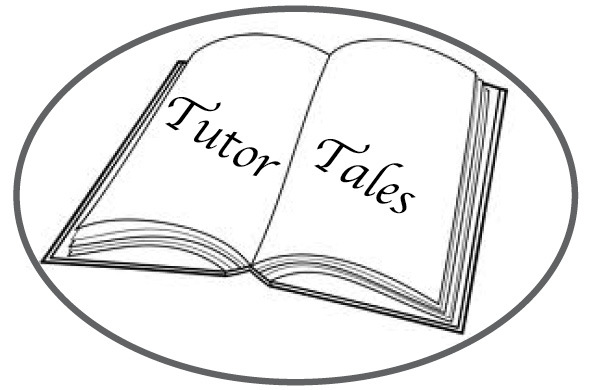 Contact Josh by email @ josh@SingingTurtle.com or follow him on Facebook, where he poses fun math questions, provides resources and hosts discussions.